This is a very attractive fern hailing from Eastern North America and it has the most wonderful common name of 'Fancy Fern', very American!! 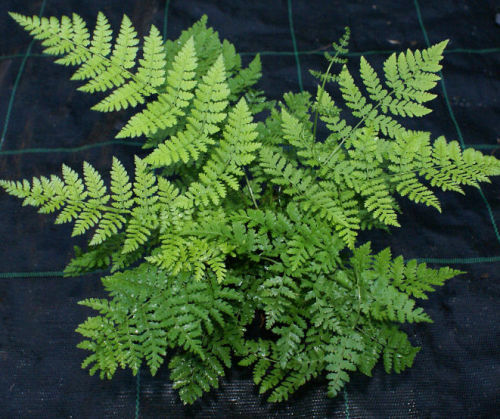 It is a strong growing fern, preferring moist acidic or neutral soil. The cut fronds of this species were once used by florists because of the finely dissected fronds and the long stipe. An excellent plant as a specimen or en masse.